I also believe that getting healthy, fit and happy is best done via experts like you, who can not only individualize advice but are based ‘on the ground’, in your client’s local community, making it possible to fill gaps by using other experts and activities. In a world where App developers, and ‘celebrity trainers’ are replacing a person’s locally based movement specialist like there’s no tomorrow, I’m proud to say I have created something unique in its encouragement of seeing those trainers, coaches and other experts face to face and which takes the focus off weight loss but gets tons of it, literally. A fitness Challenge which is overflowing with wins for all involved, that has generated 100,000s of dollars income for on the ground experts and priceless success for the entrants. Entrants set themselves specific health and fitness goals. They get fitness tested by PTs or other Official Verifiers at the start and end of the Challenge. In-between entrants get about blitzing their goals. They agree to see you or another ‘Coach’ at least twice more during the Challenge to help them out. At the end Catch Fitness awards certificates to winners, finalists and finishers plus in 2018 a minimum of 2018,10% of entry fees go to cash prizes. There are 25 categories in our Challenge, catering for every goal imaginable. Winner’s are chosen on the basis of ‘best improvement’. This means that it’s not the strongest person that necessarily wins our strength category for instance and which also acknowledges that the fitter someone is, the smaller the improvements may be. We help motivate and support entrants with weekly material, none of which is weird, or extreme i.e. it’s all designed to support your philosophies. We’re not a facade for any other products or services. It free for you to be involved. We don’t charge you anything or take commission from any of your sessions. You charge whatever you normally charge. You don’t need to donate any free sessions to potential entrants to be part of this. We are not an online programme and do not dish out generic exercises or nutrition to entrants. We promote seeing PTs and other experts who can give individualised advice. Pick up new clients: 100s of entrants have used trainers for the first time as a result of entering the 20 Week Challenge. PTs like Dwayne, in the pic, had 14 new clients sign up with him when he announced he was a Challenge PT. Clients see you more often: On average entrants see their PT one or more times a week for the duration of the Challenge, which as we all know means they are more likely to be successful. Motivate existing clients: The majority of existing clients that join up see their trainer more often than they do outside of the Challenge. I’m going to add in here that from personal experience, that also means they are easier to train i.e. they are mega committed. Free support for you: All trainers receive optional fitness testing templates to use, technical training ideas and business tips. Promo kit: Use our Promo Pack of ideas and free downloadable templates if you want to promote yourself as a PT of the 20 Week Challenge. We will rave about you: We don’t support the idea that just one trainer, famous or otherwise is the trainer for everyone. We believe the best experts are the ones on the ground, in our communities and our aim is to promote and support them. We will make you look good: We are a reputable business that has been in the game long term. Being a trainer with us can help increase your own credibility and branding power, especially if you’re a newbie on the block. We run through winter: We run it then because we know that’s when entrants are least motivated to get fit, so we figure that’s when they need us most but the additional benefit is that it can help boost the businesses of PTs at what is often their downtime slow time, so much so that some trainers have literally built their whole business around our business, getting 30, 40, 50 plus entrants training with them regularly for these winter-ish 20 weeks. Growing time: As you’ll read in the testimonials, the whole thing makes for a neat way to apply what you know and to learn more about testing for instance and/or challenges generally, so if you want to go set up your own, you’ll have a bunch more ideas. Read over 100 testimonials from PTs here , watch the movie below and click on these pics to see how happy the clients are! 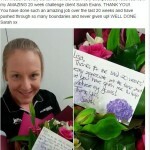 Check out the 20 Week Challenge website for hundreds of testimonials from entrants, www.20weeks.co.nz. Is it for new or experienced personal trainers? 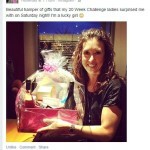 As a new trainer, the 20 Week Challenge will help build your confidence and grow your business. 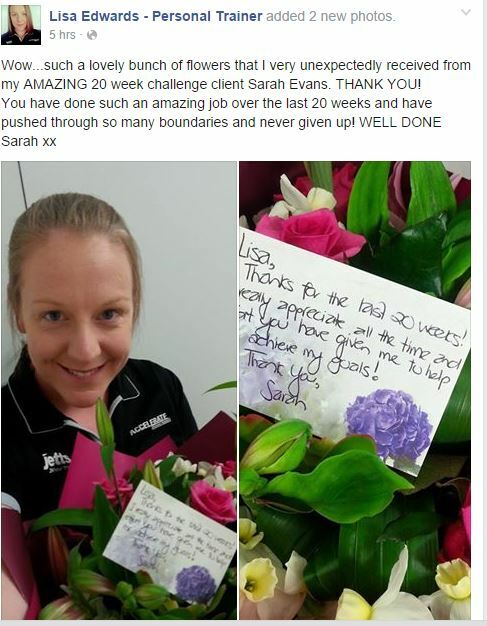 As an experienced trainer, entering your existing clients into 20 Week Challenge can be the perfect way to push those that need it and a wonderful way to reward those doing well. Above: Cate Grace with her first clients back in 2010. 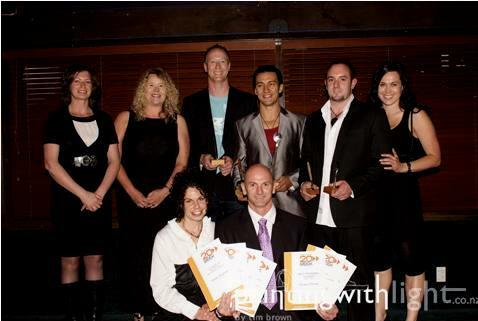 Cate went on to win the 2011 NZ Fitness Industry HQH Up and Coming PT Award and in 2013 went to London as one of the Life Fitness, 10 top PTs in the world to watch. 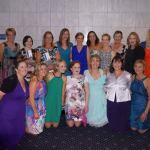 In 2013 she had 55 people enter into the 20 Week Challenge under her, 49 of whom crossed the finish line. In 2014 she had more than 60 enter with similar numbers in 2015 and 2016 - the 10th series she was involved with. 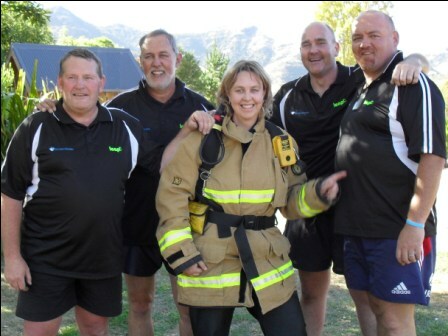 Jean Scott Winner of the Fitness Industry REPs Award 2011, has now done eleven challenges with us and has over 20 years experience in the industry. Jean also went to London in 2013 as a finalist in the Life Fitness Top 10 PTs in the world to watch. Who pays for the sessions with trainers & what can trainers charge? Answer. Entrants pay for their own trainer sessions and trainers can charge whatever they like. How can the Challenge bring you new clients? Answer: Tell the world you are a 20 Week Challenge PT. Update your REPs profile: Entrants without trainers are encouraged to look to their local REPs site when they sign up so make sure your details on it are complete and enticing. We also encourage trainers to say they are a 20 Week Challenge trainer on that page, in the first line or two of their profile, so they are really easy to find. Use our PT marketing templates: These are ready for social media, in local workplaces, on your website etc to tell the world you are a 20 Week Challenge PT. Register here and we'll send you the link to the free promo pack and if it brings you new clients or sessions awesome, and if not, you've lost nothing. 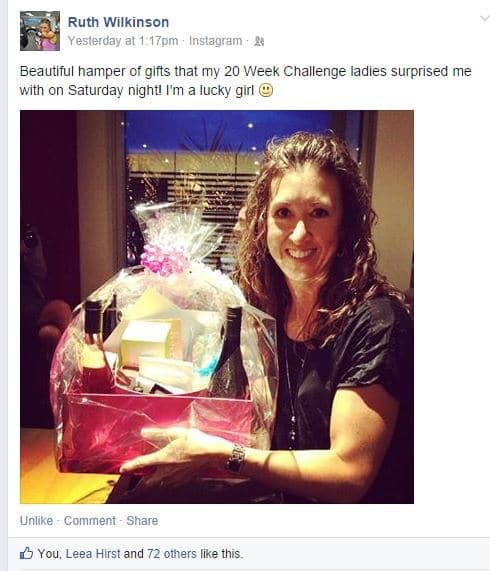 What do I have to do as a 20 Week Challenge Trainer? Answer. What you always do! Test and train your clients. 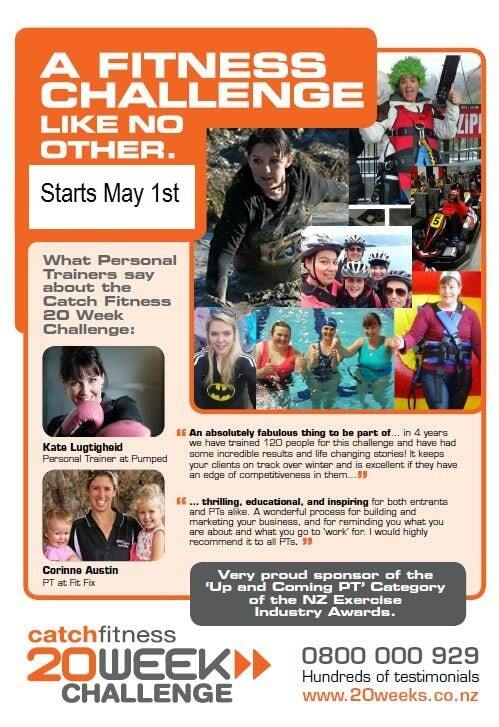 Fitness test all your client entrants in the first four weeks of the challenge and again in the last four weeks. We will provide the templates on which the results are recorded and ideas on how to do these but at the end of the day the exact tests you choose will be up to you. The entrants will log their results with us. Train the entrants. If that's an option for them and you, offer to train them for the 20 weeks to help them get to their goals. Feedback: Give us feedback at the end. Optional extra's but highly encouraged are to:- Read the short weekly chapters of the Winner's Guide and the Supporter's Superhero emag designed to help grow your business and support you as a challenge trainer. Do trainers need to follow a set training program, diet or fitness testing protocol? We will offer you up some ideas and help you feel more confident with what you are doing, but no we won't dictate what you have to do. On April 2nd we provide all paid up entrants and their trainers with a fitness testing template which will help you pick and choose what tests to do for each category. Can fitness facilities roll out the 20 Week Challenge? a quality challenge to members which has very safe, mainstream content. There's nothing that's likely to upset any dietitian, physio or PT in them. a way to entice members to use your PTs, attend your classes and use the other services of your club and affiliates. Basically it's a challenge where all the hard work has been done and the cash prizes put up. Are trainers up for winning Awards too? How do I promote myself as a PT of the Challenge? Once you have registered with us you can use any of the promotional ideas tools we have on offer - available here. Register with us here to receive the link. PTS Registered with ICREPs, what does that mean? 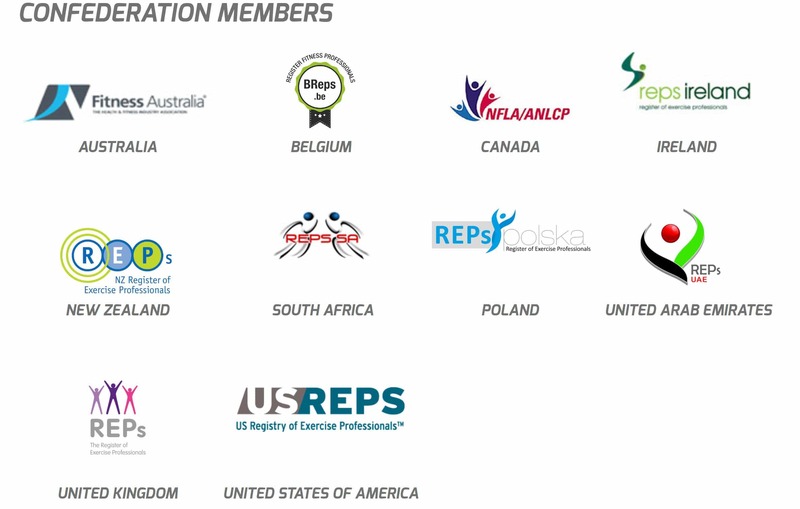 Answer:ICREPs is the International Confederation of Register for Exercise Professionals of which the following bodies are members. All 20 Week Challenge PTs need to be registered with one of these bodies by May 21st, 2018 at PT Level or what in NZ with REPs, is regarded as Exercise Consultant Level 2 or equivalent elsewhere. You must advise anyone that signs up with you if you're not registered as all costs incurred by us and them as a result of you not being registered and them not being eligible for prizes or awards, will be born by you. Answer: Register your interest with us by clicking here and we'll send you more information plus links to the marketing material to help get you started. Then on April 2nd all trainers and entrants will receive the Start Up Guide, Chapter 1. 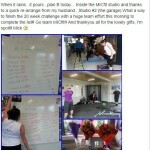 The Catch Fitness 20 Week Challenge, piloted in 2007 with 20 people, was set up by me when I was a PT and PT manager. 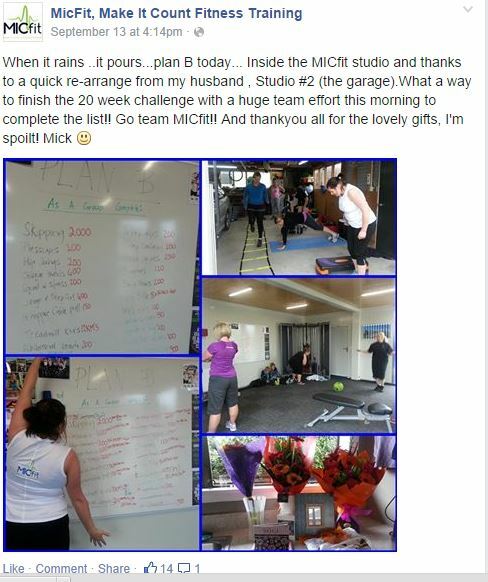 It was hugely successful and reinforced to me that the best trainer in the world isn’t the Celebrity PT who dishes out an online programme or book. As awesome as those can be nothing beats that trainer who can advise someone on the ground, in real time, on an individual basis and tap into local experts and activities to fill the gaps in their clients goals. While we know that as an industry the challenge becomes how we impart that knowledge to the public and leverage them to act on it and thus the 20 Week Challenge. The Challenge has now been delivered by more than 150 awesome personal trainers to almost 3000 people and given out over $100,000 in prizes. For many it has not only helped them to help others, it brings them in new clients, new ideas and provides them with lots of free resources to use in their own challenges and with their other clients. Kate Lugtigheid – Pumped Personal Training. 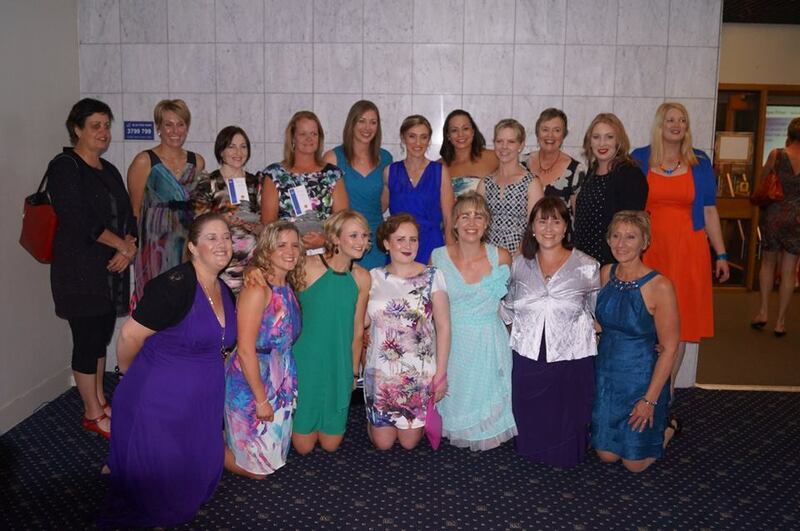 Winner of the Exercise Industry Award – PT of the Year, 2015. Every year we make it simpler and easier for trainers to be involved. If you were involved with us pre-2017 then know that those big, lengthy reports you used to type up, are now done online by the entrants and the Award nights are also online! Give me a call if you’d like to know more about the changes and how they might effect you.